Welcome to the Blox Quilt Along Video Series! • Fabric collection used: Dominicana by Vanessa Vargas Wilson of Crafty Gemini for Timeless Treasures Fabrics. 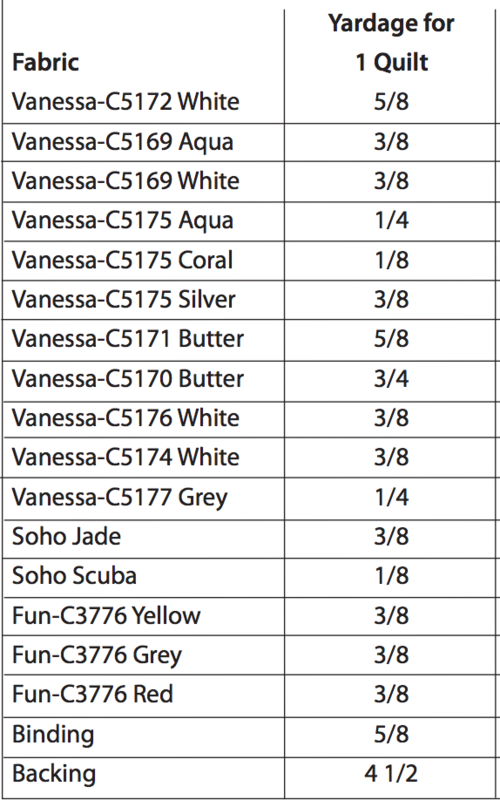 • See the chart below for approximate yardage amounts needed. Please contact your local independent fabric store or online retailers to purchase the fabric necessary to complete this project. A list of some online retailers who currently carry the collection are listed at the bottom of this page for you. • In this video I go over the basic information you need to know to get started with this project. • Finished Blox Quilt measures approximately 52” x 65”. 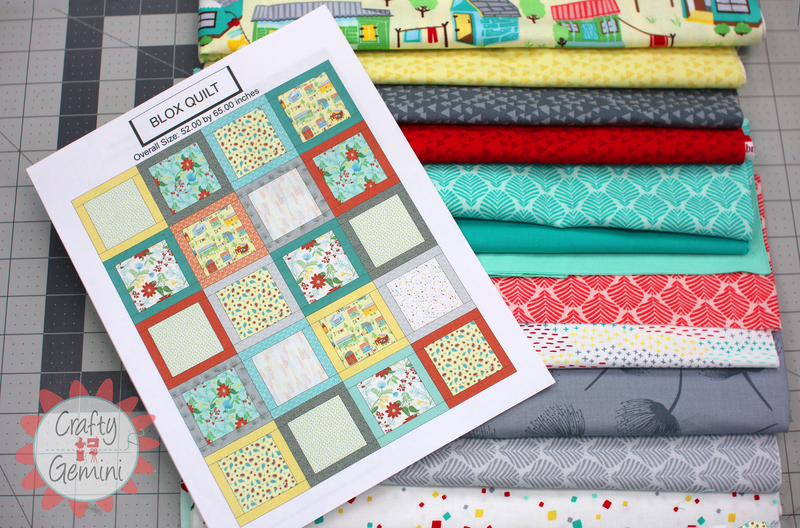 • Click HERE to download and print a full page color print out of the Blox Quilt Design.